You are here: Home / Soccer / International Soccer / Euros / Italy 2-0 Spain Euro 2016: Follow Live! Italy 2-0 Spain Euro 2016: Follow Live! PARIS, Sporting Alert – The starting lineups, team news and latest livescore updates from Euro 2016 round of 16 match between Spain and Italy at Stade De France. Watch Live Streaming on ESPN 3 and WatchESPN. Live TV Channel, ESPN2. Livescore at www.livescore.com and our live football score page. 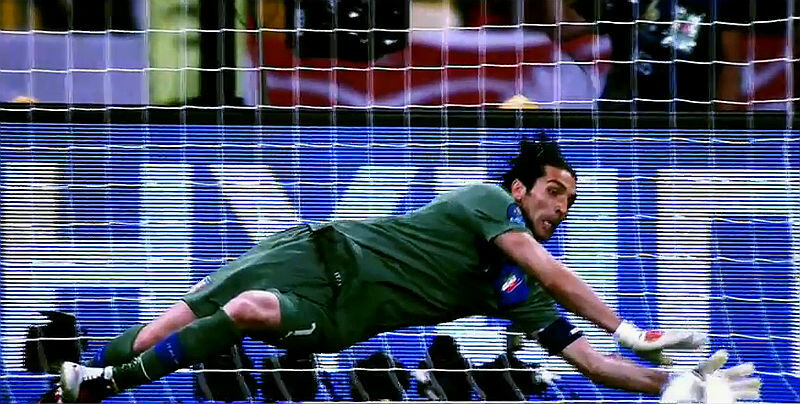 Pelle puts the final touch on the game for Italy, blasting home from close range to finally dump Spain from Euro 2016. Eder powerful free-kick was pushed into the path of Chiellini by De Gea and the Italian defender reacts to poke home. Despite being heavily criticized by the media after the 2-1 final group match defeat to Croatia, David de Gea keeps his place in goal for Spain. Several Spanish media outlets, who were backing De Gea to become the country’s No. 1 goalkeeper before the start of the tournament, have been calling for the Manchester United first choice to be replaced in the starting lineup by Iker Casillas. But as expected, manager Vicente Del Bosque has decided to stick with the 25-year-old. In fact, Del Bosque has opted to name an unchanged starting lineup for the fourth straight time for this round of 16 at the European Championship game. Sergio Ramos, who missed a penalty against Croatia will play alongside Gerard Pique in the heart of the backline, while Cesc Fabregas, Sergio Busquets and Andres Iniesta all start in midfield. Alvaro Morata will again lead the attack, with David Silva and Nolito supporting for this Euro 2016 knockout battle. Meanwhile, Italy coach Antonio Conte has recalled his big guns for this knockout fixture after resting them in the final group game, which ended in defeat to Ireland. Missing, however, is winger Antonio Candreva, who is being replaced by Mattia de Sciglio. Matteo Darmian, Thiago Motta, Ciro Immobile, Lorenzo Insigne, Stephan El Shaarawy and Simone Zaza are all on the bench. Leonardo Bonucci, Graziano Pelle, Eder, Giorgio Chiellini and goalkeeping legend Gianluigi Buffon are all in the starting lineup today for Italy, which is looking to dump the two-time defending champion.